Susan Armitage is Claudius O. and Mary Johnson Distinguished Professor of History at Washington State University and Director of the Center for Columbia River History. She holds a Ph.D. from the University of London (London School of Economics and Political Science). An authority on women in the U.S. West, she is the co-editor of The Women’s West (1987), So Much to Be Done: Women Settlers on the Mining and Ranching Frontier (1990) and Writing the Range: Race, Class, and Culture in the Women’s West. 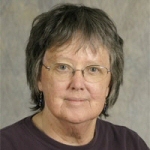 Armitage is the is a co-author of the U.S. history textbook, Out of Many (Prentice Hall) and from 1995 to 2003 she edited Frontiers: A Journal of Women’s Studies.